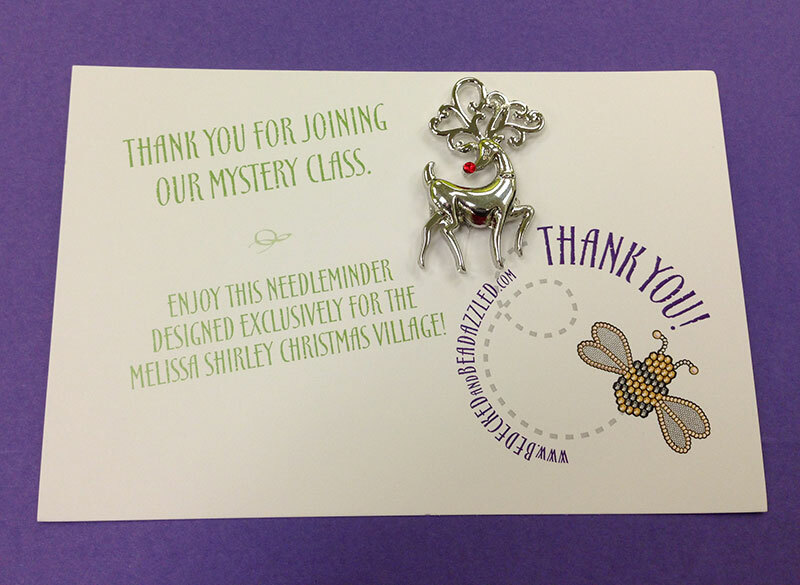 Two days ago I posted the first lesson of the Melissa Shirley Christmas Village Mystery with a Twist! It’s a very, very fun canvas that we are going to stitch in segments. With each mystery class there are presents! I love getting and giving presents. Each student received a reindeer magnet. Love this little girl! These are our gift to you for joining the class. You may have noticed that I love designing little limited edition goodies to make our stitching more fun and colorful. I love that they are limited. Here today and gone tomorrow making room for something new and special. 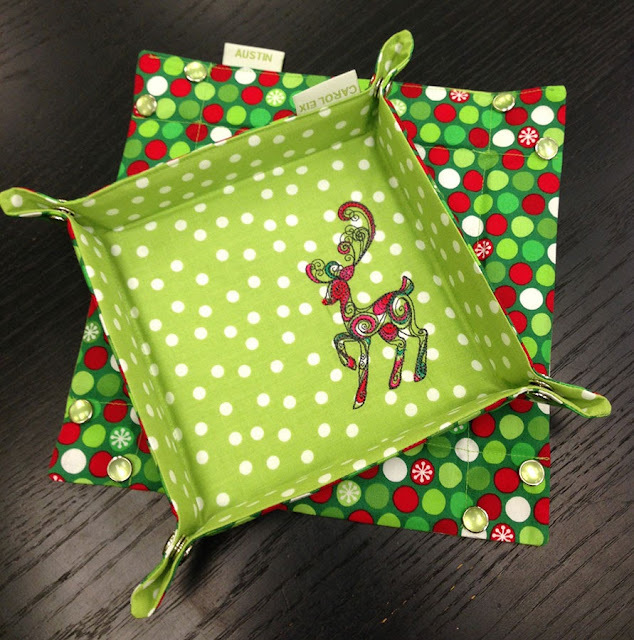 Exclusively for you ladies in the Melissa Shirley Christmas Village Mystery with a Twist Class we have the cutest ever Christmas Snap Trays. If you didn’t already order one, now that you see them I know you will fall in love. Cute. Cute. Cute! And then, just because we couldn’t stand it a minute longer we had to have coordinating bead snap trays. They are just the cutest!!! These two items are exclusive to the club members. 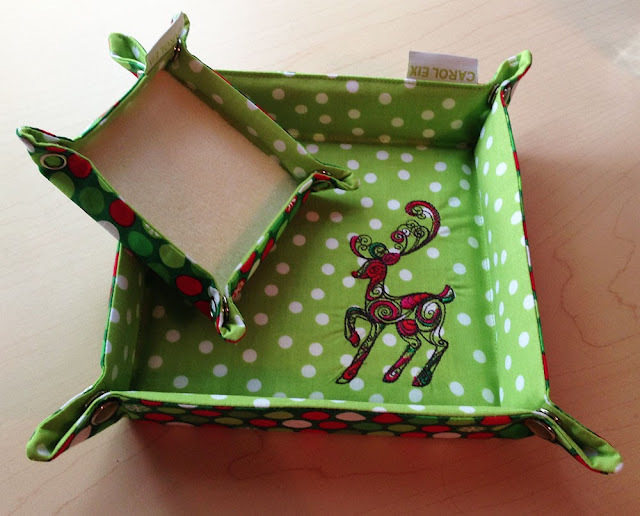 If you are in the mystery class, you may order the twinset (snap tray and bead snap tray), just the reindeer snap tray or you may order just the bead snap tray if you have already ordered the snap tray. Wow, that’s a mouthful. Sorry for the confusion. Don’t worry if you aren’t in the club there will be more super cute twinsets coming for Halloween and Christmas and just everyday fun! For everyone looking to decorate their scissors with a little Christmas fun we have scissor fobs! 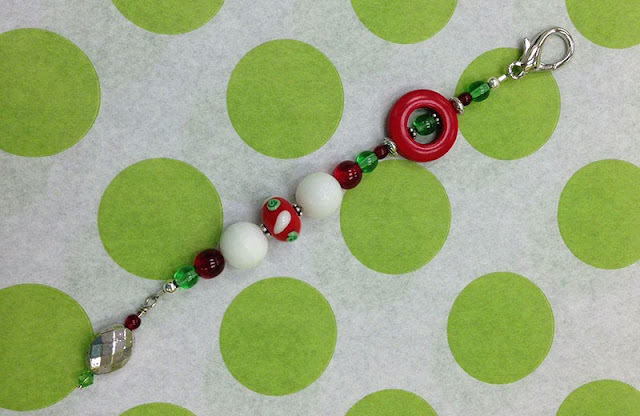 There are pretty fobs with lampwork beads for $35 each. 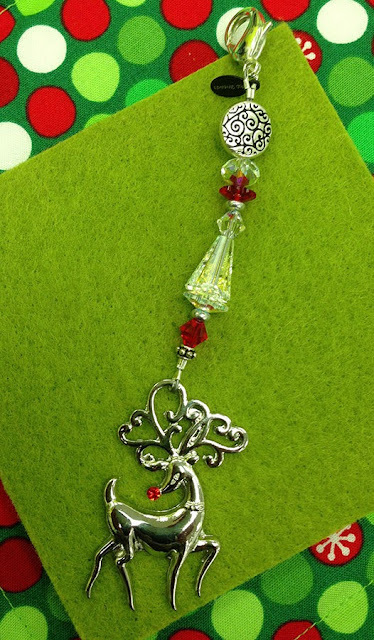 And Sparkly reindeer fobs at $44 each. Start your Christmas shopping early with these great fobs. All in all we are ready for Christmas in July! Call us at 410.296.0405 to start your holiday fun! « Previous: Happy 4th of July!